I love the look of a cuff! LOVE THEM....but I don't LOVE how they feel on my wrist. Adding chain to a Sterling Silver Fancy 4" Rectangle allows the bracelet to move freely. It's the best of both worlds: comfort and style. 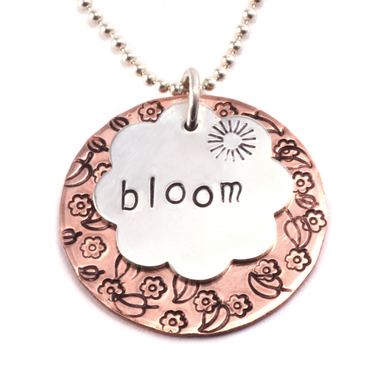 Pair it with a few handmade Soldered Bangles. Super cute! Stamp your designs! *TIP* If using the 1/16" letter sets, you don't need to strike the stamp too hard. No need to oxidize yet. That can be done after the soldering is finished. Before you begin to solder the pieces together it's always a good idea to watch all of our free videos on soldering safety and technique. 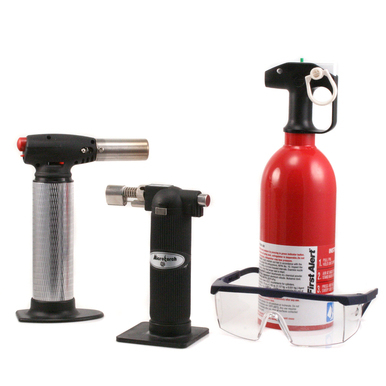 Take a look at these short but informative tutorials: Butane Torch Safety, Setting up for Soldering at Home, and Introduction to Soldering. Prep your pieces for soldering. To make sure your pieces are completely flat, lay them on your bench block and hammer them with your Plastic Mallet. Clean the pieces and apply solder paste sparingly in the center of the brass rectangle blank. 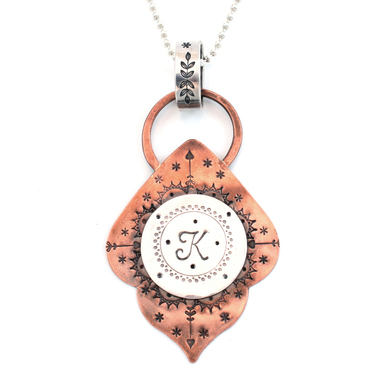 Place the brass blank onto the sterling silver fancy rectangle in the desired position. 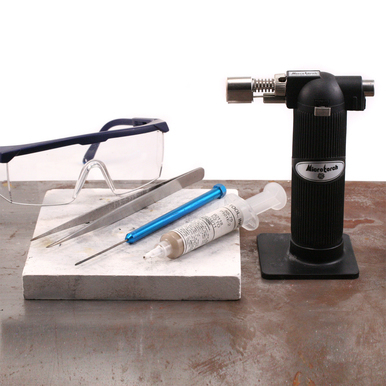 Use two Gripping Tweezers to make sure the blanks stays in thier exact position while soldering. Clean any firescale off with Penny Brite. Oxidize and polish. Create the curve in the blank with your Nylon Jaw Bracelet Bending Pliers. Next, use the Screw Down Hole Punch to create a hole at either end. Attach your chain with a Locking Ring on one side. On the other side attach the clasp with the other Locking Ring.